Momiji Health Care Society recognizes the importance of protecting the privacy of all information provided by the users (“you”) of Momiji Health Care Society and our website. We created the following policy guidelines with a fundamental respect for your right to privacy and to guide our relationships with you. The term “Momiji Health Care Society” or “us” or “we” refers to the owner of the website. The term “you” refers to the user or viewer of our website. Personally identifiable information or personal information is defined as information that identifies you, as an individual, and includes (but is not limited to) your name, home address, home telephone number, and e-mail address. All personal information provided by you is stored on a secure server and not on the Internet. We only collect personally identifiable information about you after you have specifically and knowingly provided such information to us. By voluntarily providing this information to us at various points when using our site(s), you will be consenting to the collection, storage, retention and use of your personal information by us for online/offline activity. You are under no obligation to provide us with this information and can access many aspects of the site(s) without providing us any personal information. We constantly seek to maintain the integrity of, and make improvements to, the site(s). As part of these efforts, we collect and analyze non-personally identifiable information. This information does not identify you personally, but becomes available to us as a result of your visit to our site(s). This information includes (but is not limited to): your IP address, a number automatically assigned your computer when you visit the site(s); your Internet Service Provider; and your Web Browser. We may also keep a record of which pages of the site you visit, and how long you spend on each page. We collect, store, retain and use personal and non-personal information in a non-identifying, anonymous and aggregate form to enhance our site design and for statistical purposes. These statistics and reports will contain only aggregated and no personally identifiable information. Where links to Momiji Health Care Society (or group company) or external web pages are provided, Momiji Health Care Society is not responsible for the privacy practices or content of those sites. 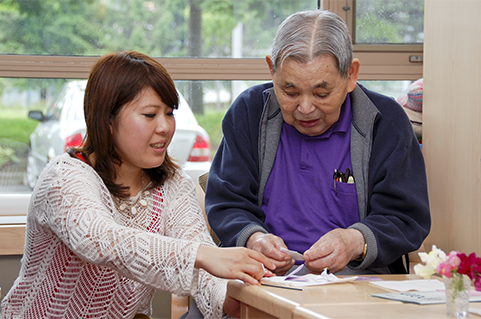 Momiji Health Care Society does not sell, give or trade its contact lists. Your email address and other information will not be resold by us to any third parties.